Although he’s among the most famous saints of all time, St. Patrick remains somewhat buried under his namesake holiday’s bells and whistles — green beer, leprechauns and sloppy drunks included. Born in Roman Britain (not Ireland) near the end of the fourth century, Patrick was kidnapped as a teen by Irish pagans and enslaved on the Emerald Isle, where he spent six lonely years tending to a flock of sheep. After his eventual escape, he became ordained as a priest and returned to Ireland as a missionary, erecting churches and eventually converting the entire island to Christianity. Patron Saint of Ireland, Australia, Nigeria and Montserrat — and almost everywhere else come March 17 — Patrick is believed to have used a handy three-leafed shamrock to explain the holy Trinity to the pagans. Worldwide celebrations take little of this into account, opting instead to indulge in the cultural hallmarks (and stereotypes) of St. Paddy’s adopted home. 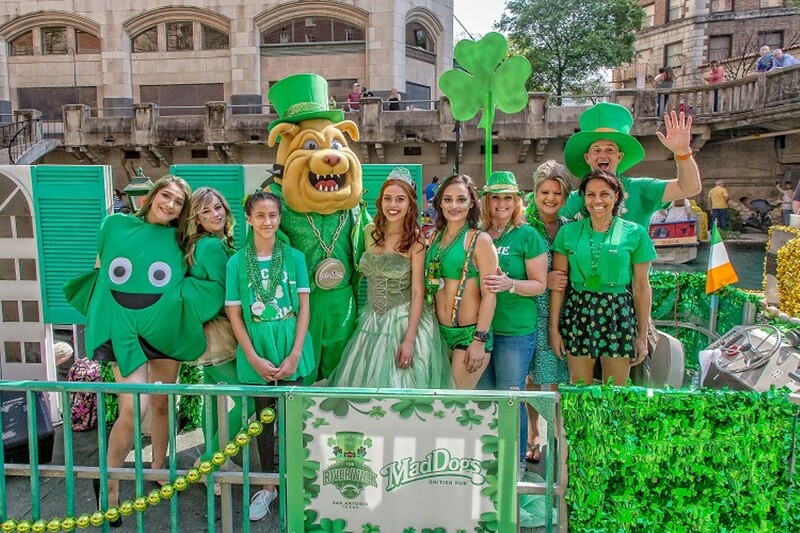 Inaugurated back in 1968, San Antonio’s St. Patrick’s Day River Parade & Festival brings revelers to the heart of downtown to behold the Paseo del Rio as it’s transformed into the “River Shannon” thanks to 25 gallons of green dye. In addition to a bagpipe-fueled procession featuring 14 festively decorated floats (4-6pm Sat), the 50th annual celebration includes an artisan show, an Irish food court, a “Passport to Ireland” exhibit organized by the Harp & Shamrock Society, live music and dance performances at the Arneson River Theatre, games of hot potato, an audience-judged “nice knees” contest for ladies 18 and up, gold coin hunts for kiddos and a tater tot eating contest.